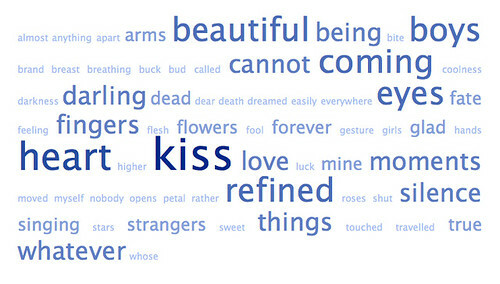 Visualization of several poems by e.e. cummings. Image produced by TagCrowd.